You can find this 2013 Chevrolet Tahoe LT and many others like it at Direct Auto of Tennessee. Drive home in your new pre-owned vehicle with the knowledge you're fully backed by the CARFAX Buyback Guarantee. As a compact SUV, this vehicle packs all the performance of a full-size into a package that easily navigates the urban terrain. This Chevrolet Tahoe LT is for the discerning driver who demands the utmost of his vehicle. 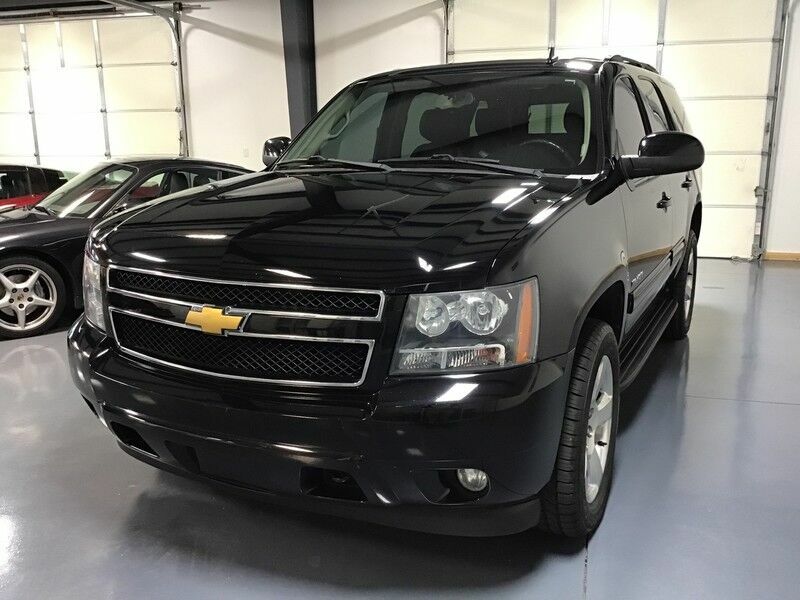 At home in the country and in the city, this 2013 4WD Chevrolet Tahoe LT has been wonderfully refined to handle any occasion. Smooth steering, superior acceleration and a supple ride are just a few of its qualities. Intricately stitched leather and ergonomic design seats are among the details in which test drivers say that Chevrolet Tahoe is in a league of its own Pre-owned doesn't have to mean "used." The clean interior of this Chevrolet Tahoe makes it one of the nicest you'll find. This genuinely stunning Chevrolet Tahoe LT has about everything a family needs in a vehicle. The Chevrolet even comes equipped with entertainment package that will keep your passengers easily occupied. This highly refined Chevrolet Tahoe comes with exciting features you'd expect in a vehicle twice the price. These tires look to be recently changed. The paint on this Chevrolet Tahoe LT is flawless; no scratches, no blemishes, no need to spend extra money on touch ups. More information about the 2013 Chevrolet Tahoe: The Tahoe, Tahoe Hybrid and Suburban are all sturdy full-size trucks, oriented toward carrying heavy loads of passengers or cargo and towing large trailers. Both V8 engines provide strong performance, while the Tahoe and Suburban handle much better--even around town--than their mammoth exterior might suggest. In addition, the Tahoe Hybrid remains one of the most efficient full-size SUVs yet is fully capable of heavy loads and tow duty. Strengths of this model include Towing and hauling ability, fuel-saving hybrid drivetrain available, quiet, refined interior, available seating for up to nine, ride and handling, and available luxury features While we try to make sure that all prices posted here are accurate at all times, we cannot be responsible for typographical and other errors that may appear on the site. If the posted price for a vehicle or service is incorrect due to typographical or other error (e.g., data transmission), this dealership or [website provider] is only responsible for the correct price, which we will endeavor to provide to you as soon as we become aware of the error. We make every effort to provide you the most accurate, up-to-the-minute information, however it is your responsibility to verify with the Dealer that all details listed are accurate. Vehicle images and descriptions posted on our website pages are the representations provided by our suppliers. Please note that actual vehicle may differ slightly from specifications and/or the pictures. The dealership is not responsible for typographical, pricing, product information, advertising or shipping errors. Advertised prices and available quantities are subject to change without notice. In the event a vehicle is listed at an incorrect price due to typographical, photographic, or technical error or error in pricing information received from our suppliers, the dealership shall have the right to refuse or cancel any orders placed for vehicle listed at the incorrect price. Prices shown do not include state, city, and county tax, license, registration or tag fees and the cost of optional equipment selected by the purchaser. A $250.00 dealer documentation fee will also be added. Out of state buyers are responsible for all state, county, city taxes and fees, as well as title, licensing and registration fees in the state that the vehicle will be registered. All prices and offers include all incentives which the dealer retains unless otherwise specifically provided. Dealer not responsible for errors and omissions; all offers subject to change without notice, please confirm listings with dealer.